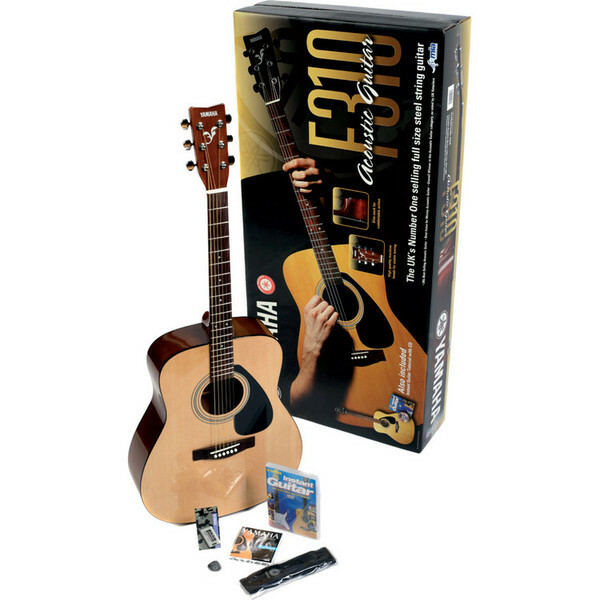 These packs have been designed with the first time buyer in mind and offer ideal solutions for those looking to invest in their first acoustic guitar. They are also ideal for schools or colleges looking for an affordable learning solution. Please Note: This guitar comes with black bridge pins. A 636 mm scale length on the F310 gives the guitar strings slightly less tension making it easier to play, especially for the first time buyer. Quality tuning machines mean Yamaha have produced a guitar that stays in tune and enthuses the beginner. The F310 plays well straight from the box with absolutely everything you need to get started.